We’re proud of our involvement in the “Howe Healthy is Your Heart Drawing Contest”, a social media campaign from Bill Howe Plumbing & the American Heart Association. In addition to design & development work, Ninthlink had the opportunity to launch their new site and improve their search engine marketing programs. In partnership with the American Heart Association, Bill Howe Plumbing created a drawing contest for kids aged 5-12. Running through April 29th, children from San Diego County are encouraged to briefly describe how they keep their hearts healthy and draw their image of a healthy heart. In addition to offering some great advice on ‘Heart Healthy Tips’, the Grand Prize winner will receive a $300 gift card to Toys “R” Us and tickets for the winner and their parents to attend the American Heart Association’s Heart Beach Ball at the Hotel del Coronado on June 11, 2011. Additionally, two runners- up will each be rewarded with a $100 gift card to Toys “R” Us. Ninthlink was responsible for the design and programming of the contest announcement and details on Bill Howe’s website, in addition to creating a custom Facebook tab. For further information, or to download an entry form, visit Bill Howe’s Facebook page or website. One of the most important factors in the relaunch of Bill Howe’s website was the migration from their existing, non user- friendly content management system (CMS) to a new, custom WordPress solution. As part of this transition, we created a custom user interface on the back end to allow them greater control over content including: banner images, galleries, menus, and contact forms. As a result of this upgrade, site maintenance became easier and less expensive, as common updates can now be made internally. Despite the major move, we were able to keep all of their existing SEO intact, meaning their top rankings remained unaffected. Moving forward, we expect this trend to continue as WordPress also happens to be a more effective CMS for search engine optimization than their previous one. 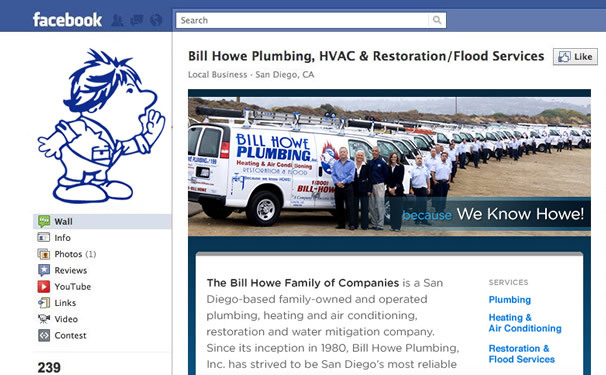 Bill Howe Plumbing turned to Ninthlink to optimize its site and search engine marketing campaigns. Before we started they weren’t involved in Search Engine Optimization (SEO), and didn’t have a solid reporting system in place, making it nearly impossible to tell if the money they were spending on Search Engine Marketing (SEM) was actually paying off. 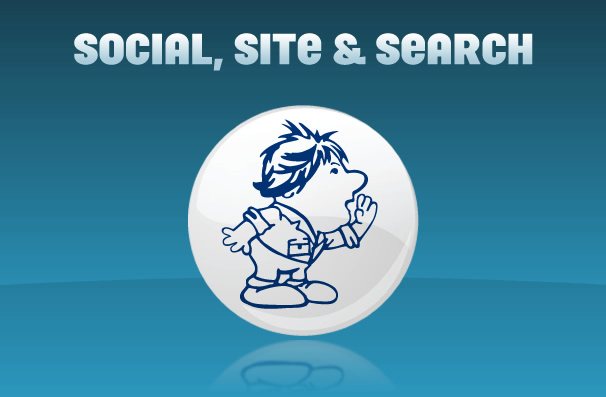 We began by optimizing their existing sites, while simultaneously optimizing for their new one (pre-launch). This was important step to avoid the possibility of losing 3-4 months worth of time without proper optimization efforts if we waited until their new site was already live. To address the issues with reporting, we implemented Google Analytics with goal tracking so each lead brought in via SEO (specially with SEO hvac marketing) or Pay-Per-Click (PPC) was tracked and accounted for. To assist in both conversion goals and tracking efforts, separate landing pages with unique estimate forms for each of Bill Howe’s services were created for our pay-per-click marketing campaign. These were then associated with specific PPC ads depending on which keywords a potential customer searched for. As a result of our SEO, PPC optimization and tracking efforts, Bill Howe has acquired and maintained many of the top rankings for their desired keywords in search engines such as Google, Bing and Yahoo; and finally has a reliable reporting system to properly measure search engine marketing ROI.